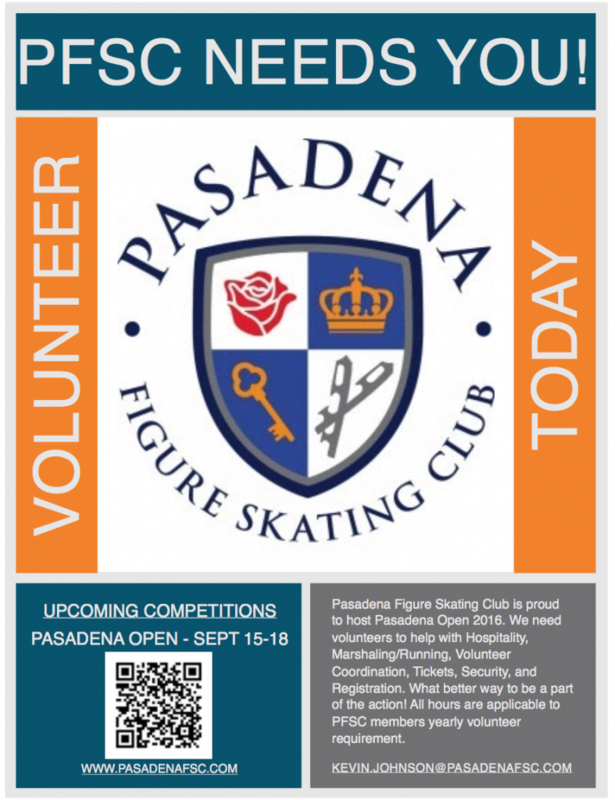 The Pasadena Figure Skating Club will be hosting the 38th Annual Pasadena Open Championships from Thursday, September 15th – Sunday, September 18th. Anticipating over 300 skaters we want to show our club at its best! Volunteer today using SignupGenius link.